Call us at +44 203 002 7805. 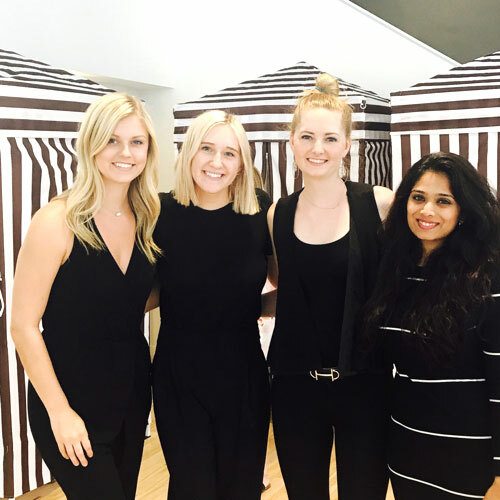 FWI internship programs are designed to provide applicants with the opportunity to develop and expand their knowledge of the fashion industry interning in dynamic and relevant work settings. Working with your own dedicated Program Manager, your internship aims and goals are electronically 'matched' within our database of over 2,000 host companies, pairing you with businesses that will ensure you get the most out of your internship experience. Programs can be tailored to deliver specific objectives, and in most cases can be used to gain course credits. 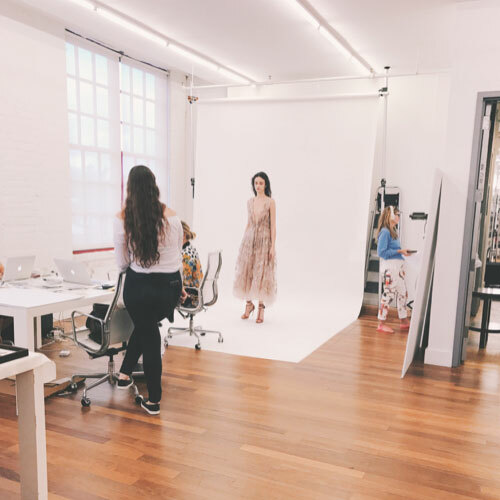 FWI interns intern at some of fashions brightest and best industry brands, fashion houses, PR agencies, magazines, retailers, and influencers, building great professional connections, and developing an international mindset, in readiness for joining the global workplace. FWI internships deliver numerous career and personal development benefits. Not only do they provide you with valuable 'real-world' industry experience, helping to develop your transferable skill-set. They also serve as a vital stepping stone towards your prospective career path, setting you apart as a highly attractive job candidate. Being able to learn from experienced industry professionals helps builds confidence in your abilities and gain industry insight, helping you to build a strong professional network, that has helped past interns access job opportunities, secure job references, and benefit from qualified mentorship. Our philiosophy of 'up-close' and 'hands-on' means that FWI interns have the opportuntiy to join leading industry businesses, becoming part of their teams and working alongside them - learning new skills, putting existing ones into practice, and gaining a real understanding of what working in the fashion industry is really like. FWI interns are challenged, stimulated, and immersed in fun and fast-paced work enviroments. Whether helping backstage at Fashion Week shows, assisting in the design and production processes in a designer's studio, brainstorming ideas for a campaign at a fashion PR agency, writing copy for an industry magazine, setting up the studio at a photo-shoot, or advising models at a model agency - FWI interns gain unique insights and get to experience the fashion industry in ways that no other provider can offer. Our partners are all members of, or have been accredited by their national trade body, or association. Introduce your friends to FWI and earn £100.00 / $150.00, if their application is accepted. FWI Interns are passionate, motivated, and dedicated to building their careers in companies like yours. Help them take that first step. Partnering with FWI can help your students gain global work experience, confidence and stand out in the labour market. FWI is a leading UK-based consultancy providing access to dynamic internships with industry leaders and established brands and businesses in the fashion sector. Thank you for contacting us. We will be in touch with you very soon !! Are you looking for housing for yourself or someone else? *Please include country code for international numbers. Are you coming alone or with some friends? Please select up to two of the following program destinations. Will you require a visa to travel to your selected program destination/s? Please select your chosen program start date. Please select your chosen program length. i. Accommodation and travel costs are not included in the program fees. ii. If your application is succesful you will be required to sign your program agreement and pay your program deposit within seven (7) days. For urgent applications, the timeframe is three (3) days. If you have been referred to FWI by your college / university advisor, or campus rep, please indicate this in the fields below. Please select a suitable date and time for an initial call to check your application details, and to book your telephone interview. PLEASE NOTE: This call is not the telephone interview, and will only require a few minutes of your time. Tell us a little about yourself, and we’ll connect you with a member of our team who can help. Don’t forget to check our FAQ page for quick answers to our most popular questions. Would you prefer to speak over the phone? Give us a call at 44 203 002 7805. Know someone that would benefit from a FWI fashion industry internship? Refer them to FWI and we will give you £100.00 / $150.00 if they purchase one of our programs! This offer is open to new, current, past, and non FWI interns. To be eligible for the referral fee, the applicant must purchase a full-price FWI internship program. The referral fee will be paid when the applicant completes their program. There is no limit to the number of referral fees you can earn! We supply motivated interns to some of the industrys best known businesses, and are continually growing our database of dynamic industry partners. Want to join them? FWI interns are passionate about fashion, motivated and dedicated to building their careers in the industry they love and are passionate about! Internships are a great way to give young talent the opportunity to add value to your business, and scout future talent. We manage the recruitment process from start to finish. We work across four European capitals, and the US, and can provide interns all year round, for between 1 and 48 weeks.